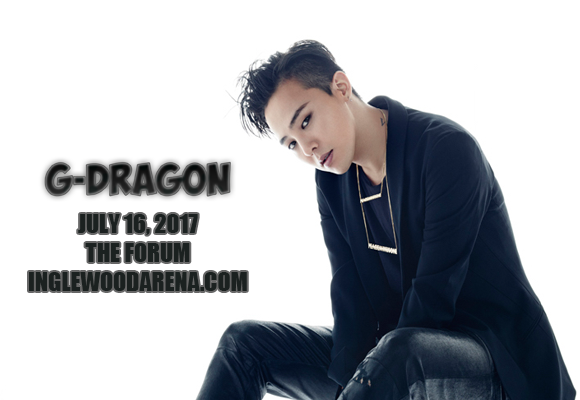 Big Bang frontman and K-Pop sensation G-Dragon comes to The Forum on Sunday 16th July 2017 as part of his ACT III, M.O.T.T.E world tour – the largest tour ever undertaken by a Korean make solo artist! According to his record label's website, the tour and upcoming album reflect "loneliness and anguish hidden behind the glamorous life from his massive success." It's going to be an amazing show!!! G-Dragon, is a South Korean rapper, singer-songwriter, record producer, and fashion icon who, as of 2017, has written 22 number one songs. A protégé of record label YG Entertainment, G-Dragon first found fame in 2007 as a member of the South Korean group Big Bang. Heartbreaker (2009), his debut album, launched the number one single of the same name and went on to sell over 200,000 copies, winning the Mnet Asian Music Awards for Album of the Year. 2017 marks the release of G-Dragon's third studio album and his second world tour Act III, M.O.T.T.E.